Now that Halloween is over, do you find yourself wondering what you'll do with all of your pumpkins? Maybe you've still got them on the porch as part of your fall/Thanksgiving decor. Or maybe you're contemplating chucking them out back with the hope the seeds will magically bury themselves just so in the dirt to produce pumpkins next year. 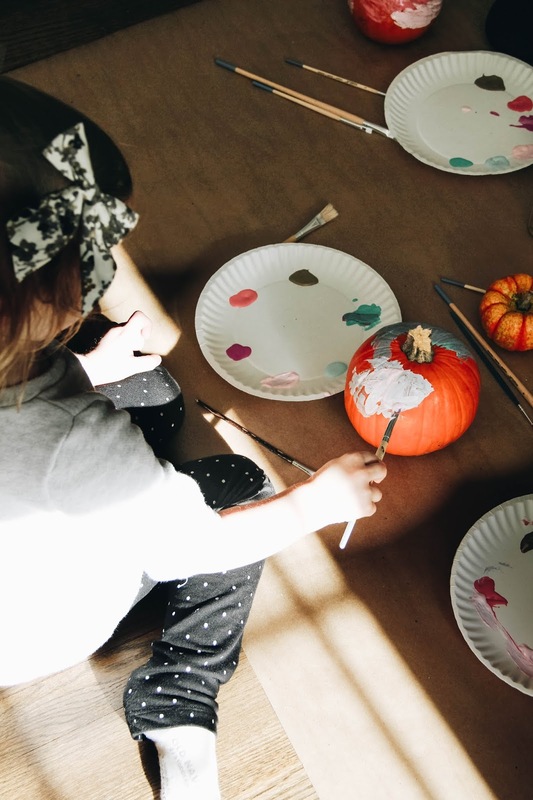 What you could opt for is painting them, especially if you have little(s) who need a creative and fun outlet during the day. 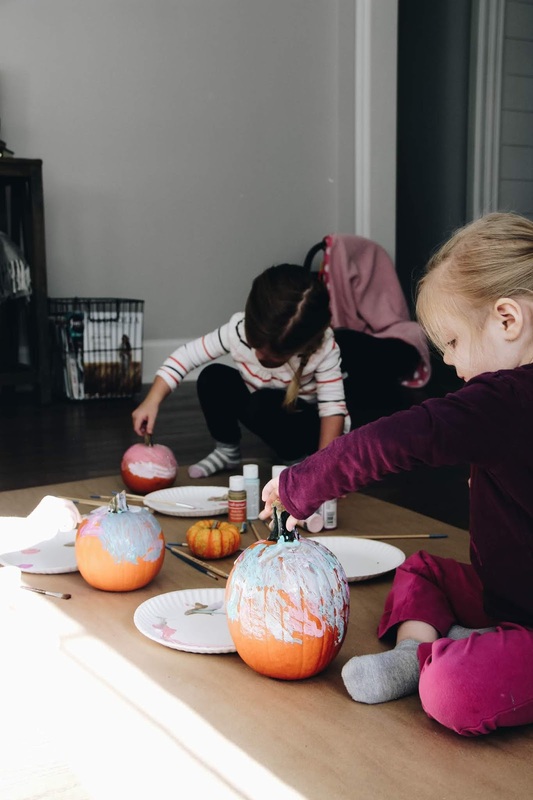 Gather their little friends for a festive and simple playdate. 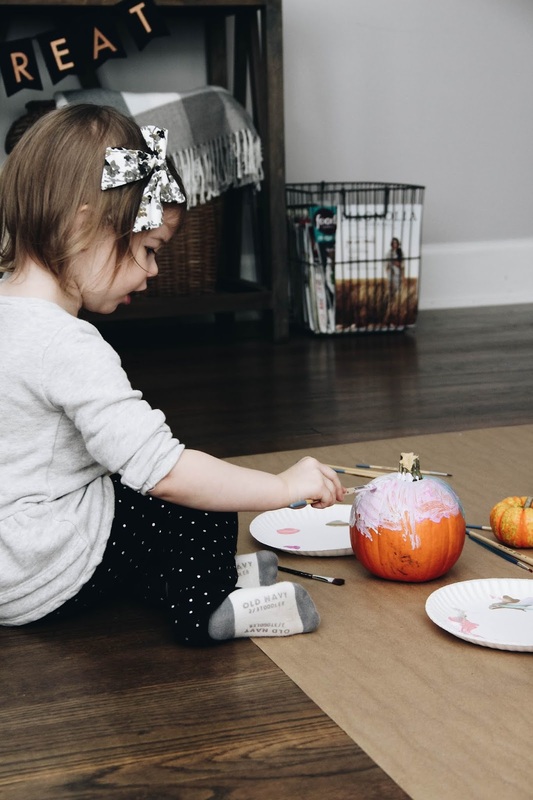 You've never seen a two-and-a-half-year-old more proud than after creating a masterpiece with a pumpkin + pink paints. Even better is when they get to revel in all that goodness with sweet friends. 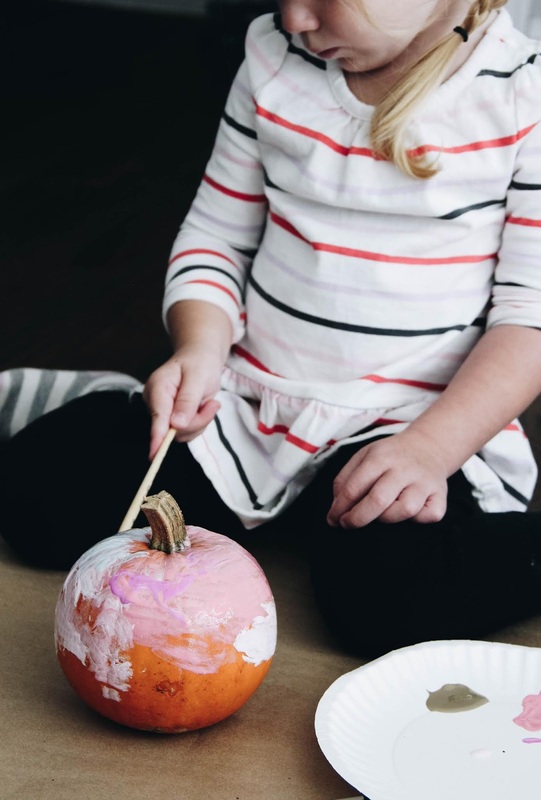 If you want to keep your pumpkins through the Christmas season, opt for painting those pumpkins like snowmen. You can add googly eyes, a button nose, and pom poms for coal. 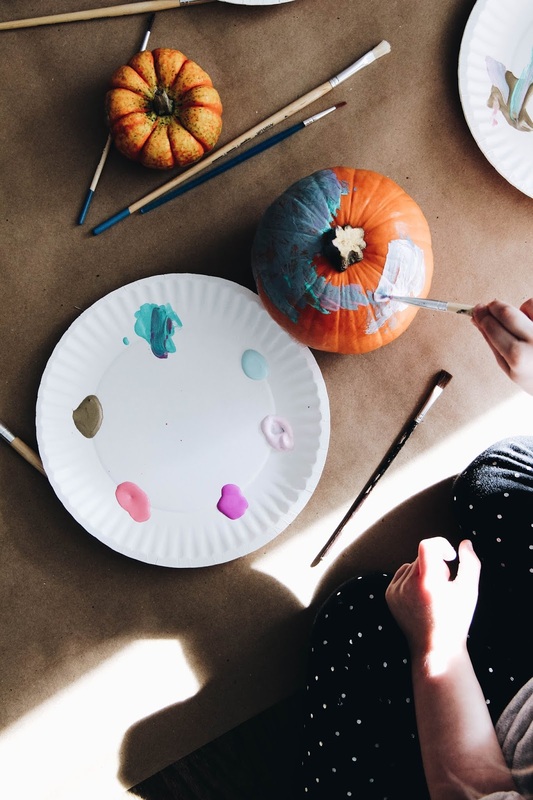 There are lots of way to get creative with theses leftover pumpkins, whether you're the artist doing the painting or your child is!